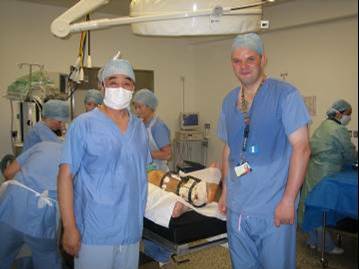 Visitors were talking to the patient in Tong Ji Hospital about the recovery after the lengthening surgery. 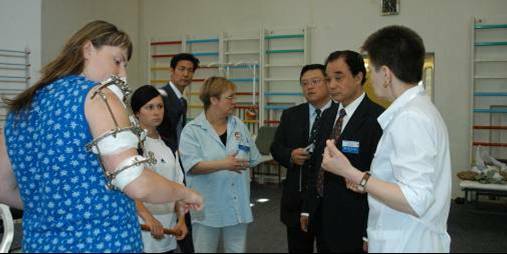 Visitors were very interesting about the external fixitaion techology, looked at every thing in detail. 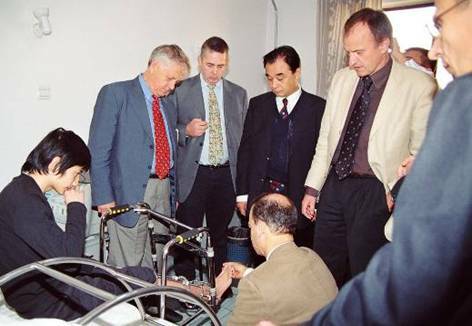 Professor Xia visited the Russian Ilizarove Centre in Nov 2006, exhanging the experience of using external fixation lengthening technology. 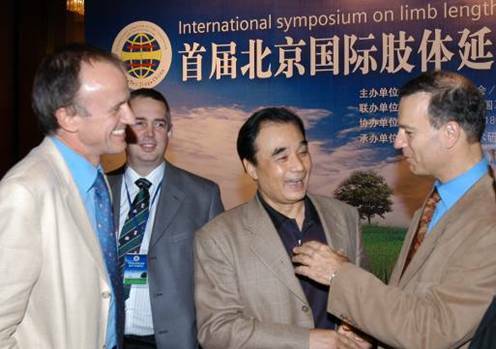 Professor Xia met with Professor Vladimir I. Shevtsov, The General Director of the Russian Ilizarov Scientific Center. 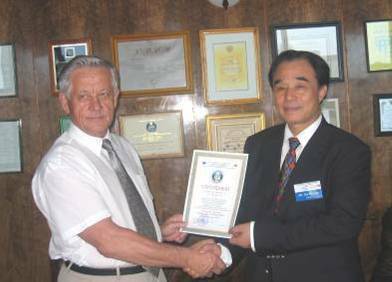 Agreement was signed between the two institutions re collabration of further developing and implementation of the external fixition techonology. 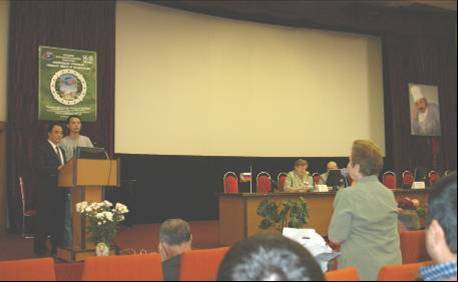 Professor Xia was invited to give a presentation at the 16th Annual Baltimore Limb Deformity Conference in Sep 2006, USA. 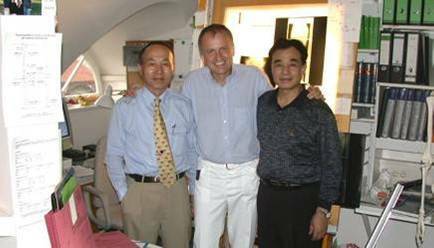 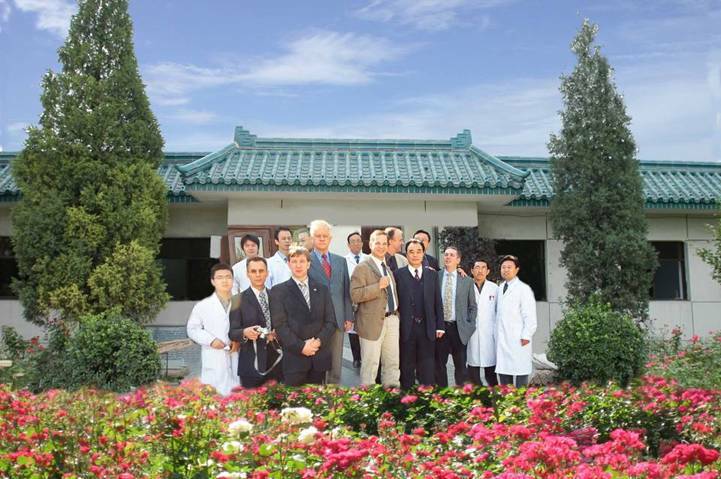 Professor Xia visited the Center of Limb Lengthening and Reconstruction, Department of Surgery, Ludwig-Maximilians-University of Munich, Germany, in 2004.